May 21 19:22:49 php-fpm 61392 /rc.start_packages: Restarting/Starting all packages. and attempt an upgrade again. The second attempt has been reported to be successful most of the times. The issue is logged as a bug already. Note: As always, before upgrade, take a backup of your configuration. 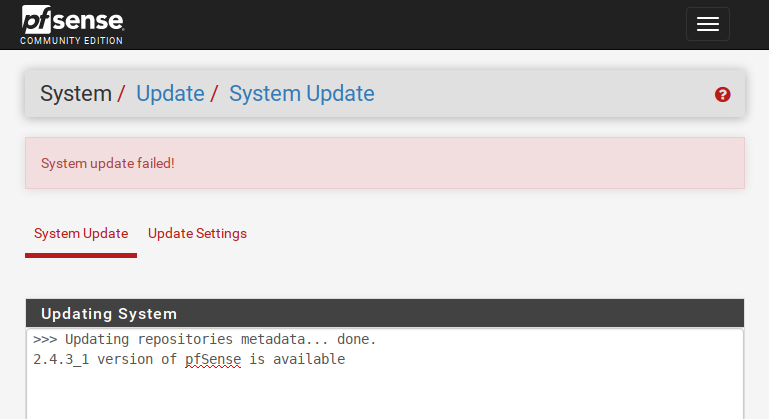 Also, in case you are running pfSense in a virtual environment, take a snapshot before upgrade so that you can easily revert in case something happens that cannot be fixed.